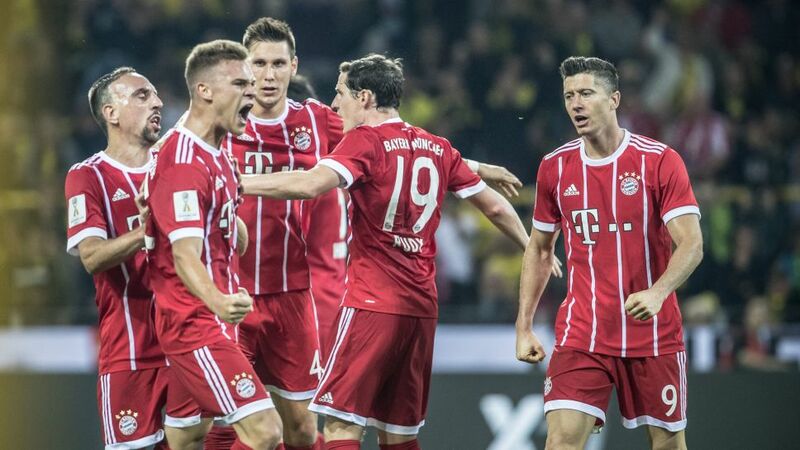 Having won the last five league titles, Bayern Munich are the team to beat this season, but can they swell the trophy cabinet both domestically and in Europe? As ever, the Reds boast a formidable squad of talent, but there is no doubting the experience they lost in the summer with the retirement of Philipp Lahm and Xabi Alonso, two players with close to 1,300 senior club appearances between them. Corentin Tolisso (Lyon) has joined for a club record fee, Sebastian Rudy and Niklas Süle (both Hoffenheim) have added to Bayern's defensive options, while Kingsley Coman has signed on a permanent deal from Juventus. The marquee signing in attack is undoubtedly Colombian superstar James Rodriguez, brought in on a two-year loan from Real Madrid, while Douglas Costa has left for Juve, Holger Badstuber has joined Stuttgart and Serge Gnabry has been loaned to Hoffenheim. Ancelotti met expectations by lifting the league title in his maiden season in Bavaria – winning the title in a fourth European league, it should be noted – but having thrice lifted the Champions League, he will also be targeting a sixth European crown for Bayern this term. Tactically astute and possessing a calm, measured approach that generates respect from his players, fellow coaches and opposition supporters, the Italian is a serial winner with a wealth of top-level experience and a talent for man-management. Who to pick? After scoring 77 goals in 96 Bundesliga matches for Bayern, including 30 last season, Robert Lewandowski springs to mind, while Thiago Alcantara excelled in an attacking midfield role last term. Manuel Neuer and Jerome Boateng are both working their way back to fitness but will surely be key players for the club, and do not discount Franck Ribery and Arjen Robben. The long-serving duo have a combined age of 77 but remain as dynamic and deadly as they were a decade ago. Fans can also expect much from Thomas Müller, who may have a point to prove after a relatively meagre haul of five league goals last term, and of course new arrival James, whose most prolific spell of his career to date came under Ancelotti at Real Madrid in 2014/15. Leverkusen at home on the opening day is an attractive fixture, but the sternest tests will likely come on consecutive weekends when the Reds host Leipzig and travel to Borussia Dortmund on Matchdays 10 and 11 respectively. Take the test: How well do you know Bayern Munich's Thomas Müller?